Unlike other door- mounted switches, the BOSS switches do not shift position when the door is open, ensuring the panel door opens and closes easily. 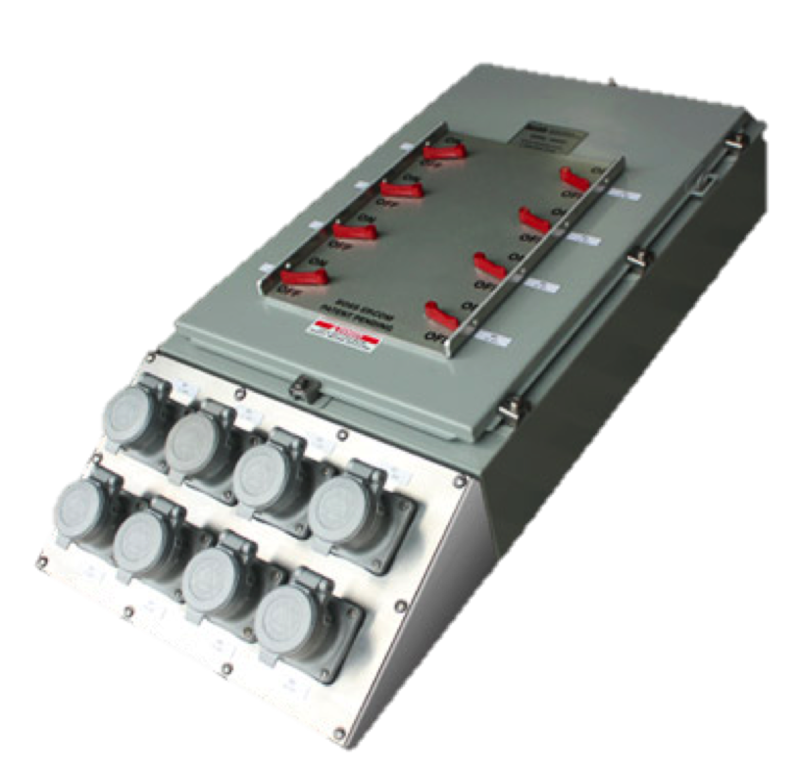 The custom build options include: 120/208 - 480 - 600 voltages, size of the enclosure, number of breakers, and an almost unlimited number of options on panel or extension box mounted receptacles (Arktite,Powertite in 30/60/100 amps, or BOSS 96s). 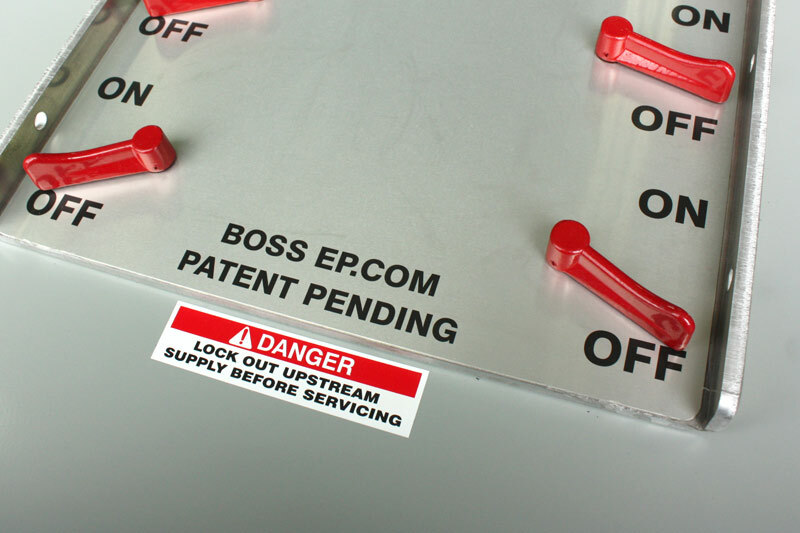 BOSS Electrical Panels are housed in the high-quality Hammond 1418N4 series enclosures. 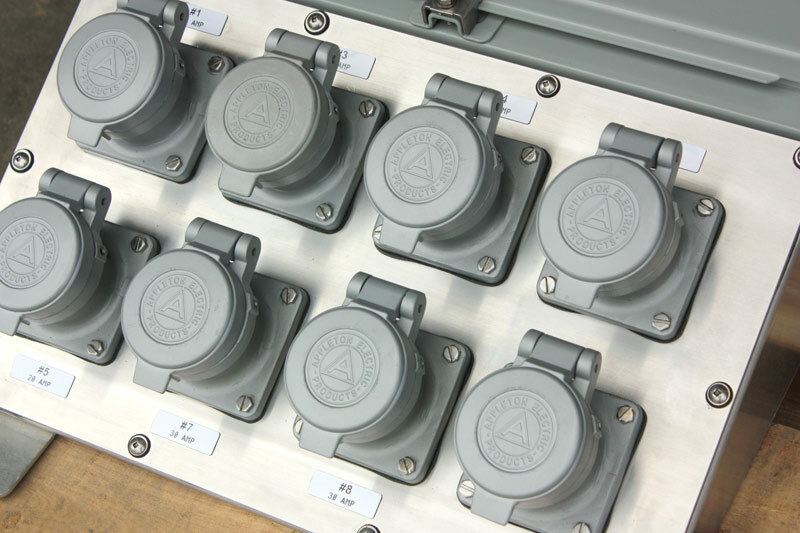 In our standard panels, Square D bolt-on QOB (120/208) or Cutler Hammer (600V) molded case (FD style) breakers are used for their reliability. The BOSS buying power ensures you are paying the most competitive price possible. The BOSS shop also builds a lot of panels. This means it is done right, and cost- effectively. 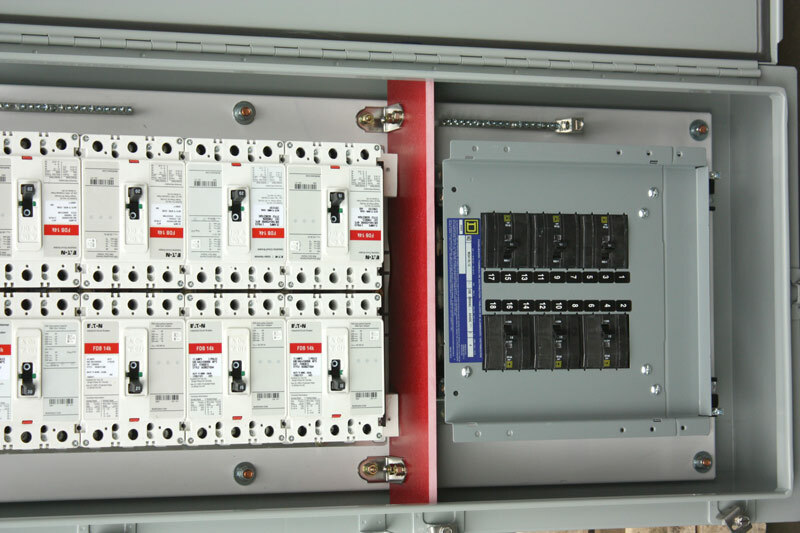 CEC and NEC approvals are granted to these panels to assure that they meet the standards wherever they might be shipped. NO MORE MOUNTING BREAKERS ON PANEL DOORS! ~ Plate actually strengthens the door. Raised guard protects switches from accidental side contact. 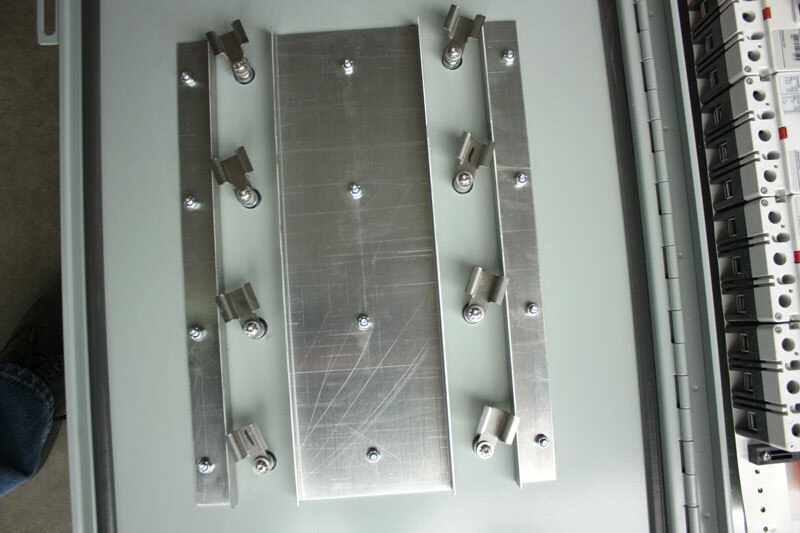 ~ Has holes for lock-out tabs for safety. NEMA 4 Weatherproof Rating (water, spray, blown dust). Custom labels clearly mark circuit designation. Panel trim protects user from exposed wires. O-ring provides optimum weatherproof seal. AND keeps switch handles in place when door is open. spin out or snap breaker lever.